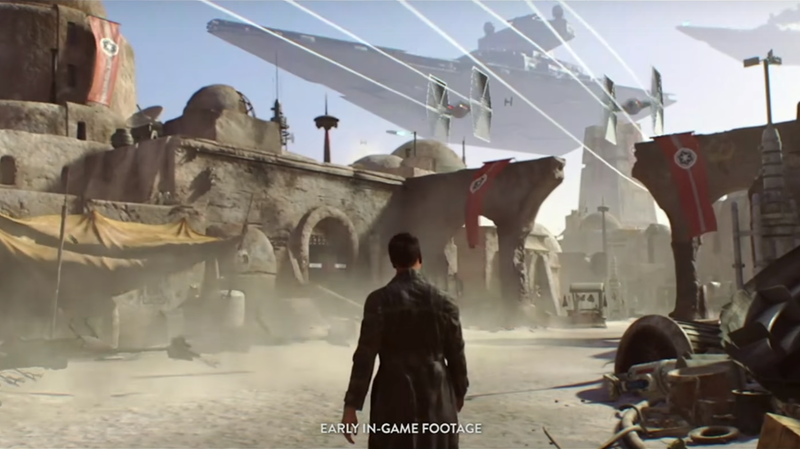 When it was announced that Electronic Arts would be making Star Wars video games back in June 2013, part of the announcement was that the Visceral Studio would be making a Star Wars game. It was later announced that Amy Hennig (Uncharted) would be creative director and Todd Stashwick would be co-writing the game with her. Other than that, details about the game are scarce. We got a brief look at the game during EA's Star Wars overview from their E3 presentation in 2016, but the game was conspicuous by its absence from the presentation at this year's EA Play. There are so many questions about the game and, while we don't have any official answers, our friends over at MakingStarWars.net have some details about the story of the game. As always, there is a chance this may not be true, but if you are trying to avoid all Star Wars spoilers stop reading now. This is your SPOILER ALERT! The game's codename is "Project Ragtag"
"Dodger" will discover something about the Empire's activities that "hits close to home and forces him to confront his past and the destruction of his home-world head on." There are some really interesting ideas in there. I love the idea of seeing the adventures of another Alderaan survivor (the idea of a survivors list was first established in the Princess Leia comic book mini series that Marvel released in 2015). I'm also curious to know what it is that "Dodger" will uncover that makes him "confront his past and the destruction of his home-world head on." If I had to venture a guess, based on what MSW is reporting, I would say it sounds like he may discover the fact that the Empire is working on the second Death Star. But that's just a guess on my part. Looking back at the one piece of gameplay footage we saw at E3 2016, it does seem like it ties in perfectly with what MSW reporting. The location appears to be Tatooine, which is where someone would go to meet Jabba, and in the sky we can see Star Destroyers and Imperial flags hanging in the background, which ties into the idea that the Empire has expanded into the Outer Rim in a big way. Based on this, it seems safe to assume that the character is "Dodger."